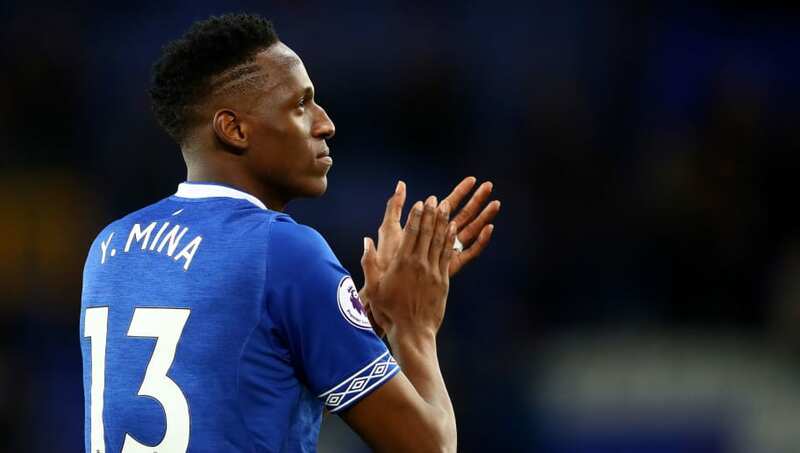 ​Everton centre-back Yerry Mina has insisted that he was 'always focused' on joining the Toffees from Barcelona during the summer, admitting that he used to watch the club back in the days of Marouane Fellaini, while explaining the key role Marco Silva played in recruiting him. Mina has also revealed that he was never close to joining Manchester United, despite the heavy speculation of a move to Old Trafford that emerged late in the transfer window, and insists he never personally had any contact with them. "The truth is Marco spoke to me every day, telling me to come to England," the towering Colombian international, who cost Everton an initial £26.4m, has told The Guardian. "I have always been aware of English football while growing up in Colombia - Manchester United, Manchester City, Everton, Tottenham. But Everton, honestly, has always been an important club for me," he added. "I watched them when back in the day when Fellaini was playing here, I remember Aaron Lennon too but, as I said, the big thing was when I was on holiday, training and keeping fit after the World Cup, Marco was on the phone, talking to me, saying to me: 'Come on, come and play here with us'. "The faith he showed in me was very important. I know now, sitting here, that I have made the right decision. It was the best decision I could have made. I was always focused on Everton. Any talk with Manchester United was just with my agent." Speaking shortly after Mina arrived at Goodison Park, Everton director of football Marcel Brands explained that Barcelona 'used' the rumours of United interest to try and get the Toffees to improve their offer. It didn't work, although Brands admitted staying firm was a gamble. "I don't know exactly the situation with Manchester United but of course Barcelona used it. They said to me: 'Man Utd are coming in'. I don't know if they did but I took a bit of a risk with that," Brands revealed in his ​own interview with The Guardian back in August.